Increasing interest with running marathons, whether full, half 5k or 3k has opened a serious of discussions on technique, training, shoes, injuries etc. There are so many doubts in an avid runner on how to go about it. 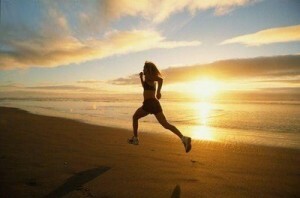 Most runners are recreational runners / joggers whose objective is to keep fit, healthy and stress free. performance and prevent injuries. Get your running mechanics evaluated. the evening when the toes are little expanded. Remember to change your shoes roughly after every 500kms of use. injuries. If you are running out doors, be aware of the environment. or more) you need longer recovery time and hence 2-3 times a week, not on subsequent days is advisable. You can however cross train those days with swimming, cycling or yoga. Always start slowly and build gradually, giving time for the tissues to adapt. When you can walk or jog without going out of breath, you can progress to running! action, obviously your calf, thighs back and shoulders. Do the same for a cool down. gradually increasing your percentage of jog. Flexibility exercises like yoga or sports stretches can be done for 20-30minutes for the major muscle groups with 15 seconds hold for each, without breath holding, 2 sets each will be good. Add to that the foam roller for glutes, hamstrings, IT band and calf muscles and foot. Running Injuries & How to handle them! and bio mechanics, and other external factors, like fall etc. level, in case of swelling. low glycemic index fruit or snack 30 minute before the run.